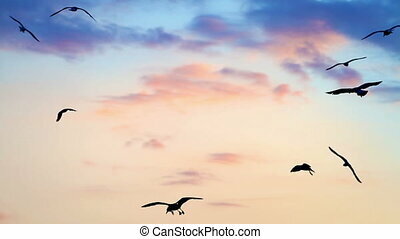 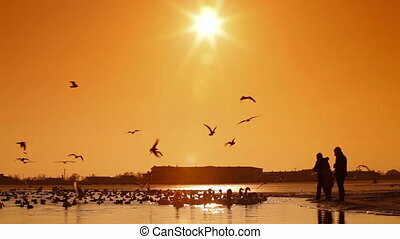 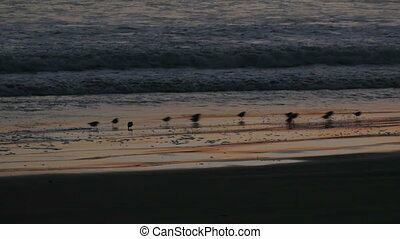 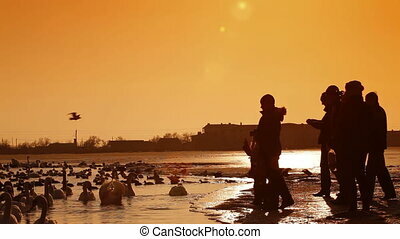 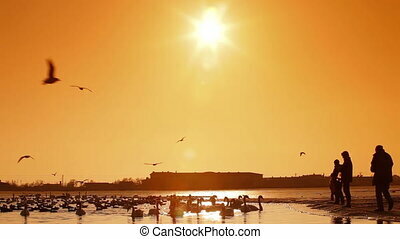 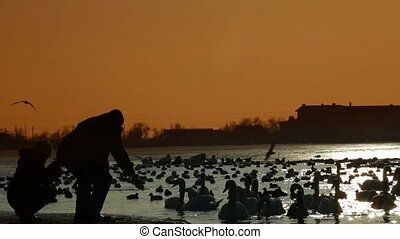 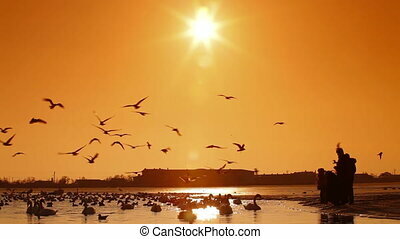 Birds at sunset. 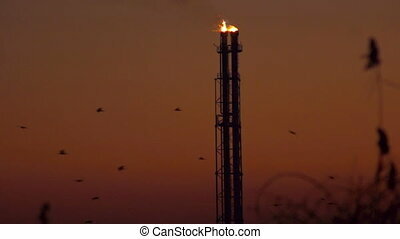 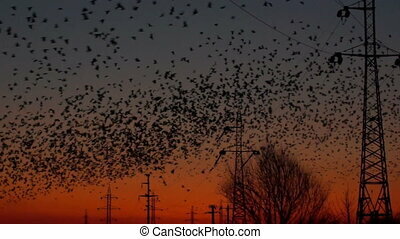 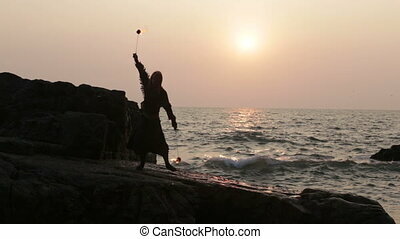 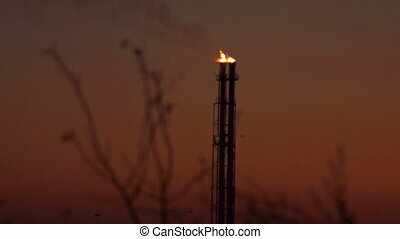 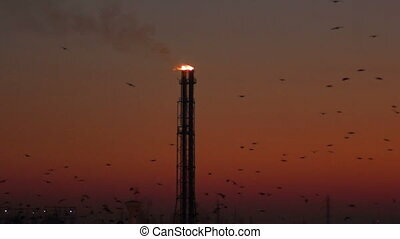 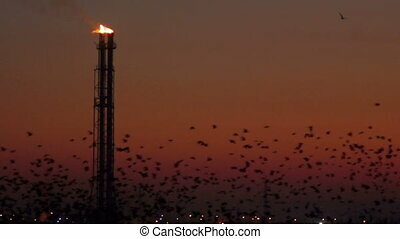 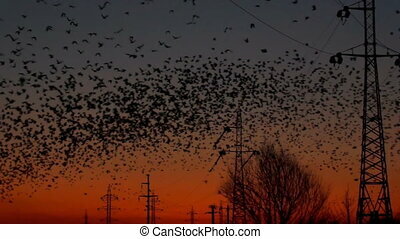 A lot of birds with the energy industry at sunset. 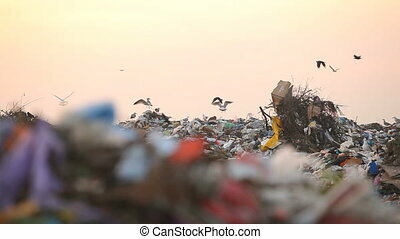 Landfill and birds at sunset. 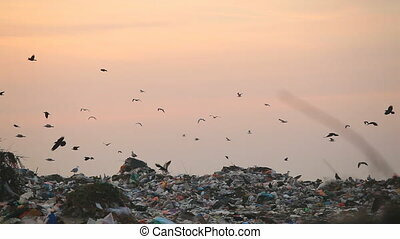 Landfill and birds at sunset. 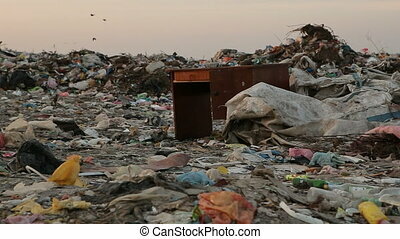 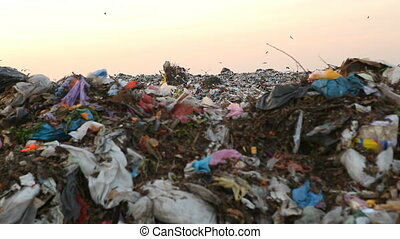 Panorama landfill. 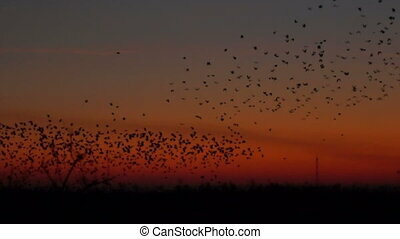 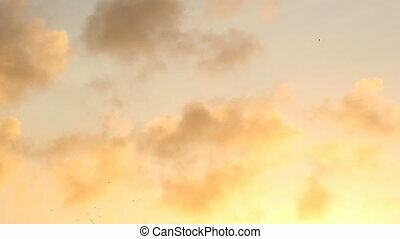 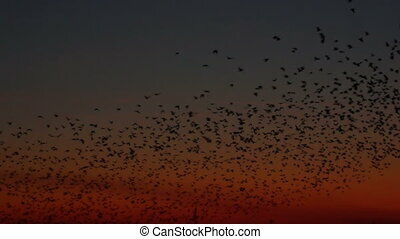 Flock of birds swarming against a sunset sky.